Vice President Mike Pence has defended his use of a personal email account to conduct state business while he was Indiana’s governor, saying “there’s no comparison” between his situation and the controversy surrounding Hillary Clinton’s use of a private email server that rocked the 2016 presidential campaign. Pence used a personal email when he discussed issues like the resettling of Syrian refugees and other matters on an AOL account that was hacked in a phishing scam, according to emails released Thursday. In another email from November 2015, Pence asked his communications staff to promote an op-ed from then-Sen. Dan Coats about Indiana’s fight to bar Syrian refugees from settling in the state. Hill also alerted Pence to an FBI terror assessment in another exchange included in 30 pages of emails provided to CNN by Indiana Gov. Eric Holcomb’s office in response to a public records request. 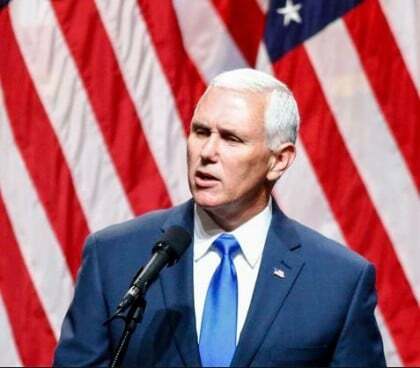 The emails and the successful hack of Pence’s email account were first reported Thursday night by The Indianapolis Star. It’s unclear from the release how often Pence used his AOL account for state business versus his state-provided email address. A Pence official confirmed Friday evening that boxes of emails were delivered to the Indiana State House on Thursday. The official would not specify how many boxes, but said the emails were a mixture of messages from the governor’s personal account to state account and from his personal account to non-state governmental accounts. The official said the emails will now be managed and handled under the Indiana Public Access to Records Act. Pence spokesman Marc Lotter said the counsel that was going through Pence’s emails attempted to deliver the boxes on January 9, which was Gov. Eric Holcomb’s inauguration day, but because the day was so hectic, the new administration was unsure where they should go. Pence’s counsel decided at the time to hold onto the boxes, Lotter said. Earlier this week, the vice president realized that the boxes of emails had still not been delivered and asked his counsel to deliver them, according to the Pence official.